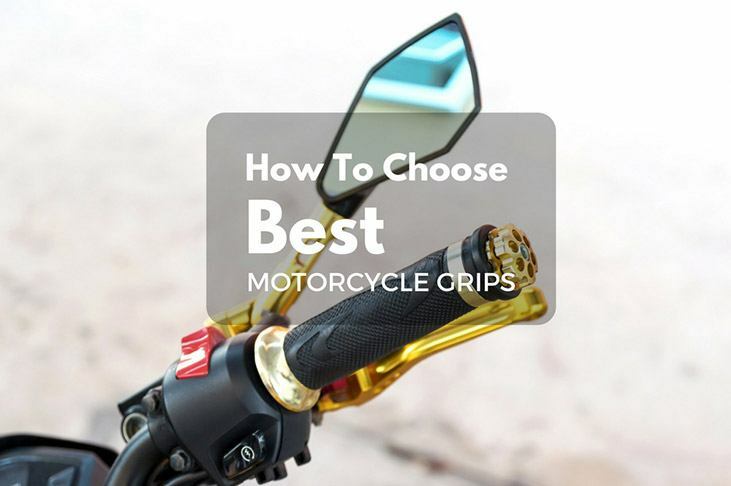 In the rest of this post, we will provide you with insights on everything that you have to know about the best motorcycle grips. Given the fact that there are many options that are available on the market, you should not decide in haste. Keep on reading the rest of this post, and in the end, you will find it easier to decide on which one makes the best choice. 2 Why You Should Replace your Motorcycle Grips? In this section, we will have a quick look at some of the best options that are available in the market. I will provide you with a glimpse on some of their remarkable features, as well as a few of their pros and cons. If you are looking for motorcycle grips that can effectively lessen vibration, this is one option that you might want to include in your list. It comes with a revolutionary Vibrasonix pillow top, which minimizes shock that you will feel, even if you are riding on rough surfaces. To enhance the comfort that you will feel, especially for off-road riders, it is also a good thing that it comes with the Tacky gel-like surface. This enhances the grip on the handlebar, making sure that it stays in place, while also helping to lessen vibration. Its self-cleaning ability is on more thing that I loved. You do not have to worry about having it cleaned regularly. It can easily shed away mud from the outer surface, making it perfect for the tough outdoors. Lastly, it comes with an affordable price. This is one product that can make an excellent choice for budget-conscious buyers. It is cheaper than most of the alternatives that are available in the market, although it is also not as durable as its superior counterparts. Are you on the lookout for motorcycle grips with basic design? If you are, this is one model that can possibly make the right choice for you. It is simple and it comes with an economical price. This can be an ideal pick for those who do not want to spend a fortune to enjoy reliability. The thick and soft rubber that is used in this model is one thing that you can possibly find to be impressive. It feels nice to the touch, even if you are riding for an extended period. Most importantly, it has the exceptional capability to absorb shock, and hence, minimizing fatigue on your end. 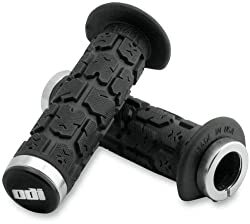 The rubber that is used in these grips are known not only for being able to absorb vibration, but also for their insulation. This can be helpful in being able to keep your hands warm when you are riding during the cold season. I also loved the fact that it is made by a brand that has long been established in the marketplace. This is more than enough to provide you with peace of mind. For a long time, Oury has been in the business of making grips for motocross and BMX. 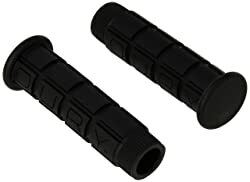 This is another option that I can personally recommend to people who are on the lookout for the best motorcycle grips. I loved how the price is economical, yet it can be promising in terms of its performance. The shock-absorbing foam that is integrated in this product is one thing that I find to be impressive. It does not matter whether you are riding on flat or uneven terrains. Regardless of the surface, the rubber is thick enough to absorb shock, lessening the likelihood that you will complain of discomfort. It can also be the perfect choice for impatient riders. Having it installed in your handlebars can be accomplished in a snap. There is no need for technical knowledge. It is designed in such a way that it will be perfect even for heated handlebars. The large diameter of the grips is also worth commending. This makes it possible for you to have it held in a natural position, although this can be a problem for people who have smaller hands. Are you looking for excellent motorcycle grips that won’t hurt the wallet? If you are, this is one product that you might want to take into consideration. While it comes with an affordable price, this can be promising in terms of the quality that it can deliver. Among others, one of the things that I loved about this model is its simplicity. There are no fancy and unnecessary features, which is perhaps the reason why it is affordable, and most importantly, why its installation can be accomplished in a snap. The pimple design of the grip is also worth noting. This is one of the most common in the options within the product category. This makes it easy to have it gripped, even if you have sweaty hands. In almost all riding conditions, it can deliver excellent comfort. The gel rubber construction of the grips is also a good thing. With this, you can expect its optimal ability to absorb shock, which is tantamount into being able to make sure that it will be comfortable in all types of terrains where you will be using your motorbike. Ease of installation is one of the reasons why this can easily outdo the performance of its competitors. This is one thing that you might love if you are looking for grips that will be ready to be used in an instant. More so, I also loved how it comes with raised pads, providing it with generous diameter. This allows it to promote natural hand position. To make it even better, the patterned surface delivers improvement in traction and in durability. Even through the years, you can expect that its best quality will be maintained. The ¾ flange of the grip is also a good thing. This is the one that is responsible for the protection of your handlebar components, allowing it to last longer. This will also protect the internal components from the damages that can be caused by mud, among others. 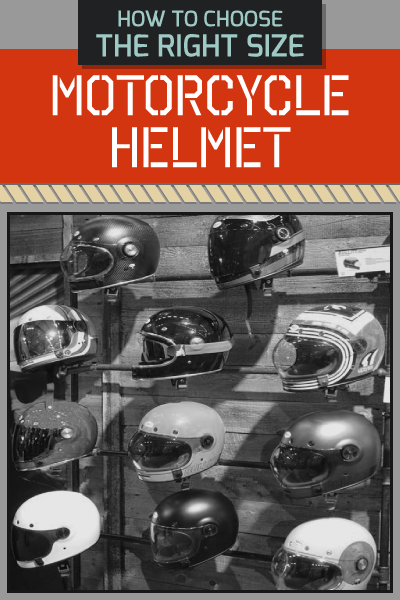 If you often experience blisters when you ride motorcycles, this can offer a good solution. It is designed in such a way that the surface is soft. This is unlike in the case of others that can cause too much friction, and hence, irritating your palms. Why You Should Replace your Motorcycle Grips? Provides Better Control: One of the good things about new motorcycle grips is the fact that they can be customized based on what you prefer and what you find easier to control. You can choose a specific style that is best suited for your riding preferences. Improves your Comfort: When riding a motorbike, for sure, comfort is an important concern. With this, replacing your grips is one of the best things that will help to make sure that you will be comfortable. With the right choice, you will be able to enjoy effective shock absorption. This means that the vibration will be dampened, and hence, you will feel lesser fatigue and will be more comfortable, especially during long distance rides in rough terrains. Enhances Style: Another reason why you might want to consider the possibility of replacing your grips is the fact that it can greatly improve aesthetics. From the color to the design, it is sure to add an element of style and more character to any bike. When looking for the best motorcycle grips, the following are some of the most important factors that should be taken into account. By keeping these things in mind, there will be a higher likelihood that you will end up with a decision that won’t bring regrets. For most people, the topmost reason why they have hesitations in replacing their current grips is because of the costs that are involved. Luckily, there are many options that are available even for budget-conscious buyers. However, it should be pointed out that choosing one only because it is cheap may not necessarily be a good decision. It should be seen as an essential investment, which is why there should be no problem in spending for it, if this means that quality will be emphasized. It should be also pointed out that not all motorcycle grips are the same. 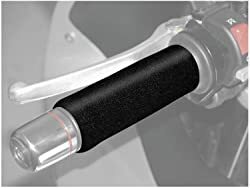 While there are some models that are made as universal grips, which means that they can be used with any motorcycle, there are also some that are made specifically for one brand or model. With this, take note of the compatibility of the grip with your bike as you decide on which one should be purchased. Some of the most common types of handlebars include motocross, clubman, beach, and ape hanger bars, among others. More so, if you have a Harley Davidson﻿ motorcycle, you need one that is heavily-cushioned. This is because the twin cylinder engine can be prone into making extreme vibration. The cushioning will be highly effective in minimizing the vibration that you will feel in your hand. This is another critical consideration in your search for the best within the product category. This is crucial because of its impact on the overall quality of the product. Among others, rubber is perhaps one of the most common. This is an ideal choice for an off-road motorcycle since it can be strongly gripped even when it is wet. This can be perfect for people with sweaty hands. A leather grip, on the other hand, is the best choice for those who are into long-touring, which is beneficial in terms of air circulation. Foam is another common material of choice. The latter is known for its excellent capability to dampen vibration and also to absorb sweat. This will be a matter of personal preference. You need to choose one that comes with an ergonomic shape so that you will be able to have it handled easily, especially during long distance rides. The shape is also important when it comes to style. At the end of the day, if you are still finding it hard to decide which one makes the best choice, you should rely on the opinions of other people. Go online and read reviews from other users. Or better yet, ask around from people you personally know. Through their opinions and experiences, it is easier for you to have a comparison of the possibilities. From the things that have been mentioned above, if there is one that I can recommend, it would be Progrip 714BK Dual Sport Gel Grip. The latter simply proves that high-quality products do not need to be expensive. In spite of its economical price, it can deliver superior functionality, which can be comparable to higher end models. Its installation will be a snap, even if you have not replaced your grips in the past. It also has an excellent ability to dampen vibration. This is crucial for your comfort, which is exactly one of the reasons why it will make an excellent choice for the best motorcycle grips.